On 21-22 March the 2nd Working Table Sales took place in Vienna. A very fruitful meeting where 11 organisations shared their best practices on sales strategies. Main topics of this meeting were digital tools, sale of historic assets, incorporating State policy in sales procedures (Social value – sustainability). The group is currently working on a summary of the meeting, to be shared with the PuRE-net community in the summer. Next proposed meetings of this Working Table are during the Munich Expo Real (7 to 9 October – short get together) and in spring time of 2020 in Vilnius, Lithuania (3rd WT). Last year the efficient office space solutions Working Table focused on “New Constructions”. This year we will be emphasizing on ABW-solutions and where more knowledge is needed. Our sparring partner will be Juriaan van Meel (MSc PhD) Owner ICOP Briefbuilder, who is conducting PuRE-Nets initiative to make a trans-European knowledge base on ABW. We will be exploring key concepts of the modern workplace and have the pleasure of presenting Mr. van Meels work for the members. • What is the relevance of ABW for government organization, how does ABW work, what do we know, round up of scientific research. How to make the concepts stick? What happens when the project is done and the consultant has left the building? • An open plan is not an open plan. What is a good open plan environment? Do we need a better understanding of the qualities of space? • How can we take care of the people in the processes, both during the project and after? How do we balance individual considerations against organizational? • User- involvement is not enough. Why is it important that public leaders have a strategic approach to ABW? Based on the findings from the previous Working Table, where we aimed on Digital Maturity of participating organizations, this year we aim to focus on current Digital Strategy and plan to reflect it against the operational paradigm and Business Model of each organization. The aim of this Working Table is to get inspiration and knowledge on how to work with digitalization in terms of how we digitalize and why we digitalize. The digital strategy will be mapped using business models canvas developed specially for digital real estate context. 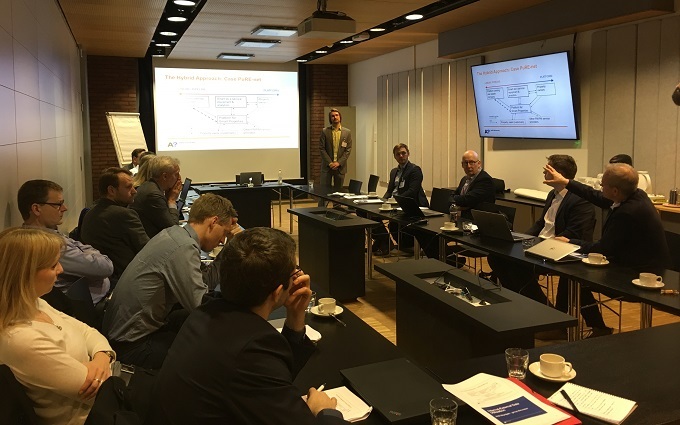 The workshop which is organized by BYGST, Denmark and hosted by Statsbygg, Norway, will take place in Oslo 25th-26th of April. Should you have any questions, please contact us here. In response to questions raised by members of PuRE-Net and TWN Bridget Workman has carried out a brief review of trends revealed by analysis of surveys and working table reports carried out by the TWN and PuRE-Net from 2007 and 2018. Over this period more than 40 organisations have provided information. The Annual Conference 2018 took place in Prague on 9-12 September. The meeting was organized and hosted by The Office for Government Representation in Property Affairs (OGRPA), Czech Republic. The theme for this conference focused on Transactions and Transitions of State-owned Real Estate and the intention was to look at this topic from many different perspectives. Starting at the decision-making point of which asset is appropriate to sell and which is not. We learnt from those who have implemented innovative sales methods or participated in interesting projects. During the newly implied activity called Round Table, we learnt from each participant what is their most challenging agenda, shared our recent achievements and introduced summary of future priorities. Together with Annual Survey elaborated yearly, this gave a comprehensive overview on the most topical agenda of institutions and organizations gathered in PuRE-net. For more details please log-in. The Working Table was aimed at creating more insights into the sales portfolios and the sales methods used by PuRE-net members. The information was exchanged on tasks and methods of sales, and the challenges that we face. On the 2nd day, we visited one of RVB's recent sales projects, the Bijlmer prison in Amsterdam. On site we explained the sale of this large scale project from the perspectives of various stakeholders involved in the sales process. For the presentations please click here or contact us. The Working Table took place in Germany and was hosted by the Bundesanstalt für Immobilienaufgaben (BImA). 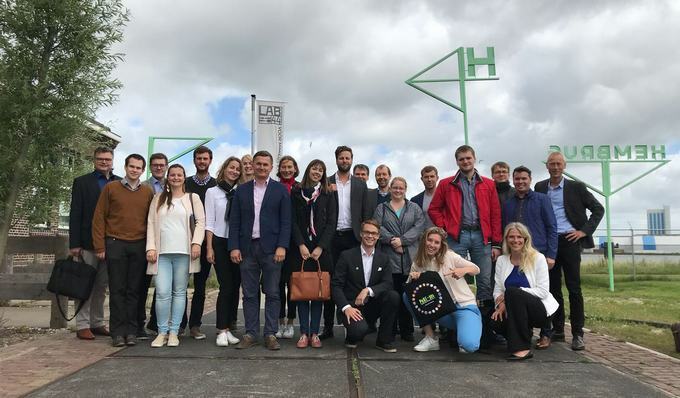 The meeting was attended by 24 participants from 10 member countries (Czech Republic, Denmark, Estonia, Finland, France, Germany, Lithuania, Norway, Scotland and Spain) and was located at BImA’s in 2017 recently completed construction Futurium. The different member states discussed about new constructions, Public-Private-Partnership and Activity Based Workplaces and visited the new building of the Ministry of Education and Research. A guided tour through Berlin’s parliament quarter rounded off the event. The given presentations are available on the password-protected log in area. 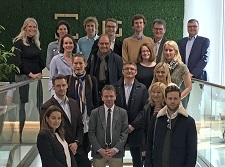 March 8th-9th 2018 the Strategy Working Table took place in Helsinki and seven members of PuRE-net participated. The theme was digitalization and how the organizations adapt to the new technologies. Prior the Strategy Working Table a survey has been sent out to all the members of PuRE-net and it explored the level of digitalization in each organization. Professor Seppo Junnila and his research team from Aalto University were in charge of the analysis. During the two days there were presentations by the research team, group discussions and workshops. The first day focused on the results of the survey and the participants discussed digital strategies, back office assets, smart buildings and digital customer service. The second day focused on how the PuRE-net members can create value by the new technologies. The discussion was based on a platform theory that combines data suppliers and data consumers and the participants talked about the opportunities for data distribution. There were a lot of interesting discussions and digitalization might be a topic PuRE-net will explore further in the future. The final report is available at the website under a login and the Strategy Working Table will be presented at the annual conference in Prague, 9-12 September 2018. For further information, please contact Peter Torp or Katrine Marie Bork Davidsen from the Danish Building and Property Agency. We know that you care about your personal data and how it is used, and we want you to trust that PuRE-net uses your personal data carefully. Our Privacy Notice will help you understand what kind of personal data we collect, why we collect it and what we do with it. Read more here.